Winter skin is no joke. We haven’t hit Thanksgiving yet and already the change in weather is wreaking havoc on my skin. My trouble area? My face. I’ve always been prone to dry skin, but now that frigid temps are looming it’s time switch out my lightweight summer formulas for heavier ones that will get the job done. If I’ve learned anything living in NY is that preparing yourself for the inevitable is how you can protect your skin from spinning out of control. 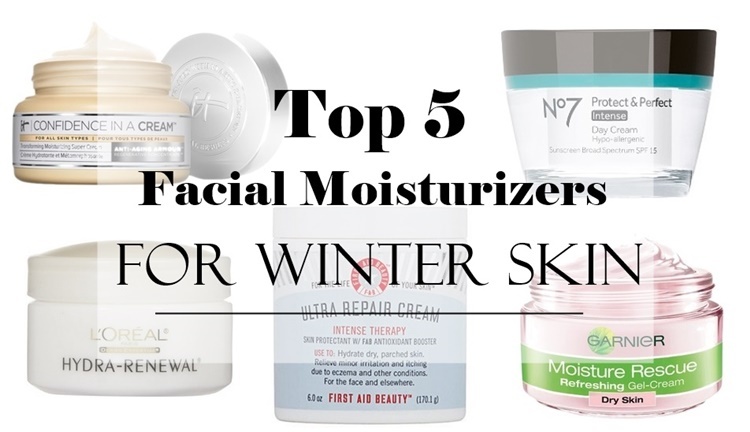 Look to these favorites to keep your precious skin nourished and moisturized all season long. Perfect for all skin types, even the most sensitive, Confidence in a Cream deeply hydrates, restores radiance and reduces the look of pores, uneven texture and discoloration. Proprietary Anti-Aging Armour Regenerative Concentrate is activated upon contact to immerse your skin in moisture for powerful results that you'll see instantly, and more dramatic results over time. Rich day time moisturizer that helps improve the appearance of deep lines, wrinkles and firms the skin. Prevents against future signs of aging with SPF 15 broad spectrum protection. Recommended for anyone with severely dry, scaly skin due to harsh winter weather, aggressive cosmetic treatments, or any of the following conditions: atopic dermatitis, irritant eczema, allergic eczema, and keratosis pilaris. With the help of colloidal oatmeal, shea butter, soothing eucalyptus oil, and ceramides, its luxurious, ultra-hydrating formula provides immediate relief and visible improvement for distressed skin. Captures the power of Antioxidant Fruit Water. Together with skin-healthy humectants that resemble skin's natural water-binding functions, this refreshing gel-cream, helps replenish skin's moisture reserves for 24 hours and helps defend skin from external aggressors.